So, my name is Philip Martin and I love food. I love it to the extent that I now want to write about food and share my experiences with any who would care to share those experiences with me. I’m almost 60 years old now and have a little more time on my hands to allow me to write. To write well, you must be passionate and food is certainly one of my passions. I cook and, if I say so myself, I can cook quite well – at least that is what my family and friends who grace my dining table with their presence will say. I’m self-taught – I was at boarding school from the age of 10 to 18 and then moved to London to work. Having never boiled an egg, I had no choice but to learn to cook as my salary of £1,900 per year did not permit me to eat a takeaway every night of the week! 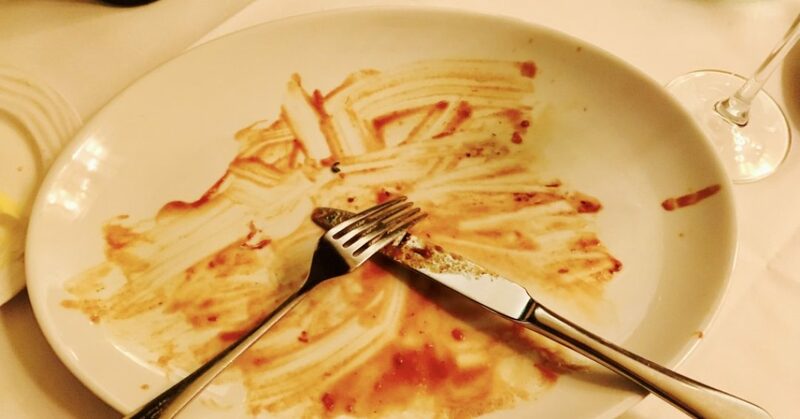 So I set about learning with my usual determination – by the age of 20, my spaghetti bolognaise was legendary amongst my male peers! I’ve worked in the financial services sector for 40 years and during that time I have been lucky enough to travel to over 50 countries living off a decent expense account for 25 years of that time. This has allowed me to eat in some of the very finest restaurants around the world and some very expensive (but not so fine) restaurants. In more recent years while I have been working for myself, my sights have been set a little lower, at least in terms of what I am prepared to pay for food. I detest going to restaurants where, for food, I have to open my wallet and say “Help yourself” when I know I could do a better job at home. But nothing pleases me more than to find chefs with genuine skill, flair and passion for taking their customers with them on a foodie journey – and I am pleased to say that the restaurant scene, in London at least, is bursting with such talented chefs, both established and those coming new on to the scene. So what do I want to achieve with this little blog? Well, I want to write about restaurants and food that I enjoy. I want to share things that I read, places I go to and recipes that I love. And if, in doing so, I am able to pass on to others some of my enthusiasm for food, then I will be a happy man.